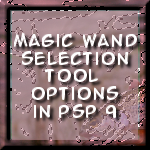 Visit jinnysplace.com for more tutorials for PSP. Here is the link to her scrapbooking tutorials. This springs tutorials are in the Viewlet (SWF) format. Composite individual letters from the alphabet created in January 27 tutorial by dragging and dropping onto new image from the browser. 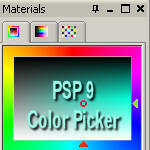 Take a quick look at the power of the new history palette in PSP9!